Having an album produced by the legendary Waldemar Sorychta was nothing but a distant dream back in 2002, when Charm Designer was born. This band, usually associated with the doom/gothic metal niches by followers and reviewers, was created in Bogotá (Colombia’s capital city) by a group of architects with the idea of making music starting from an alternative language and not purely based on the musical language itself. The duality between the method and the purpose is what could probably define in a better way the character behind their creations. The visualization of each of their songs as a design piece generates the processes, questionings and transformations needed to shape them with a sense and feeling of their own. Nowadays, already consolidated in the local context and with two self-released productions to its credit (their Manifested demo in 2006 and their first professional release Blood Sounds, out in 2008), the band has Andrés Herrera on lead vocals and guitars, Diego M. Giorgi on bass and Diego Morales on drums. Also, they currently have the additional collaboration of Diego Hernández on live guitars. Their new album Everlasting was produced and engineered by the highly acclaimed German producer Waldemar Sorychta (Lacuna Coil, Samael, Sentenced, Moonspell, Tiamat, among many others), being the first time ever for him to produce a band from outside of Europe. Also, the artwork and layout for this release was designed by renowned Romanian artist Costin Chioreanu, who, on top of that, was also in charge of the concept and animation of the lyric video for the first single of the album. Charm Designer has taken part in important events both locally and nationally, becoming a well-known act inside the Colombian scene and one of the main exponents of a style explored by few in this country. Besides their hometown, they have toured other Colombian cities such as Bucaramanga and Cali (the latter to headline the “Cali Gothic” festival in 2009, which is the biggest national festival in support of this genre). They have also opened for the Finnish band The 69 Eyes’ show in Bogotá in 2010 and visited Caracas (Venezuela) as international headlining guests for the “Dragones del Metal Fest” that took part in July, 2011. Indie and web-radio stations have featured Charm Designer’s music, and in 2008 their song Autumn of Senses (from Blood Sounds) remained for 20 weeks on the rotation-by-demand top 10 in Radiónica FM national radio station. After depleting the promotion stage for its first release and finishing the songwriting process for a sophomore record, the band spent every subsequent time and their efforts trying to accomplish a solid pre-production which would enable it to successfully reach a world-class producer and take a necessary step beyond its national context. As a result of this dedicated endeavor, one that is very unique for a metal band in Colombia, Charm Designer is now focused on the promotion of Everlasting, their new album released on Feb. 19, 2016 by Finnish label Inverse Records, which brings denser sounds, equally committed to intuition and emotionality, crafted under unconventional languages. Everlasting has been highly valued by critics around the world in numerous reviews and has had great coverage in websites/zines and web stations internationally. In addition, the lyric video for the title track and first single of the album was featured in various media. In Colombia, the release of this new production has allowed the band to intensely re-emerge on the national scene, participating in important events. 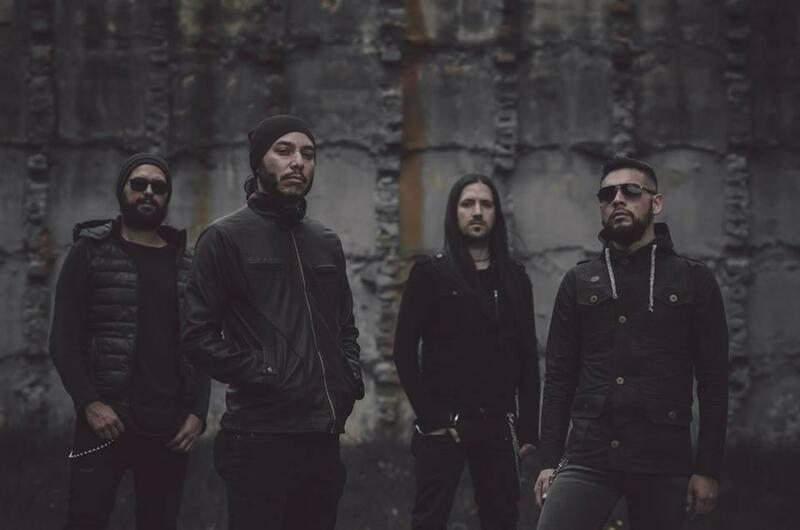 They recently opened for the Norwegian band Arcturus’ show in Bogotá and on April they will be back to Cali, Colombia after a few years to headline the Cali Gothic festival on its 2016 version. After that, Charm Designer will act as special guest when the Finnish band Amorphis visits the Colombian capital on May, 2016. The band was formed in the spring of 2008. In that time it was called Odium and appeared to be a studio project, consisting of 2 members: Sigmund (vocals,guitars,bass) and Cosmic Drone (keyboards). They recorded demo “Decay”, that included 3 songs, the demo has got lots of positive opinions and after that musicians were looked for, and after successful search in autumn 2008, the band was given its actual name . The band’s debute concert was given on December,19,2008, and not long before that, the first Inner Missing EP “All the lifeless” was recorded. Denis Devichenskiy (Black Studio) was in charge for recording and mixing and mastering was performed by Dmitri Artaulin (Sunrise studio). The EP was released by Russian independent lable Satanarsa Records in March, 2009. For the album’s approval several concert were given in Saint-Peterburg and Moscow, among them concerts with such bands as Ordog, Throes Of Dawn and Misanthrope Count Mercyful. In summer 2009 Inner Missing took part in Metal Crowd Festival (Rechsitsa, Belarus), where played one one stage with nsuch bands as Forest Stream (Msk), Disease (Latvia), Demogorgon (Pl) and some other european bands. In autumn 2009 the band participated in the biggest doom metal festival in Russia - Shadow doom fest, where it shared the stage with Wine From Tears and The Morningside. After that, Inner Missing records its first full-length album ‘’The Age Of Silence”. In spring 2010 Inner Missing supports Katatonia in its russian gigs and right after the tour which included such cities as Kazan and Vologda, the band records its second album "Escapism" which is characterized as a more "gothic" release than the debute album. Also, the band performs a live show in Minsk, Belarus with Saturnus. In 2012 Inner Missing shares the stage with My Dying Bride and takes part in some local festivals. The third (and also the most succesful) album, "Perjury", was recorded in 2013. Like all previous albums, it was released by Darknagar Records ang it has got high marks in many webzines. Then, during 2013 the band undergoes a lot of line-up troubles and finally records "Defeat" as a duet (Sigmund - voice and guitars and Melaer - keyboards) - this album demonstrated that the band's style has turned to atmospheric\depressive rock and since 2013 the band exists as a duo (although session musicians are recruited for studio work and live shows). In 2014 Inner Missing supports Saturnus during their russian shows and then takes a short break during which both band members play in a progressive rock\metal band Karma Rassa. November Black is a melodic rock band from Cluj-Napoca, Romania. Motivated and inspired by bands such as Charon, Black Sabbath, Guns N Roses, HIM, Slipknot, Alex B (vocals), Alex M (drums) and Claudiu (guitar) first started playing together in 2013. The main goal of the group was (and still is) to create new music that is both melodic and heavy, forming a mix of every band member's influence. Going through different lineup changes along the way, the band played mostly around the Cluj-Napoca area, at various festivals and venues, constantly improving their sound and performance. Inca nu a fost adaugat continut media la evenimentul: Concert Charm Designer [co], Inner Missing [ru], November Black.